It's a bird, it's a plane, it's 2010 flashing like a speeding bullet before my eyes aaaannnnd, now it's gone. Wow. That was some year. 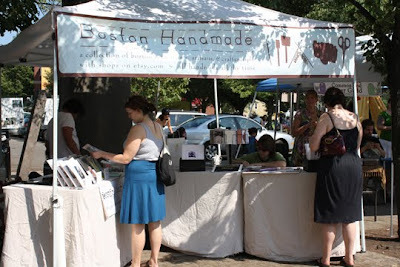 Boston Handmade and our dedicated group members did some amazing things last year. Achievements abounded, creativity conquered, and handmade exuberance triumphed over factory-made dreck. Really. It did. Together as a group Boston Handmade participated in five craft shows in 2010: our 3rd annual Somerville Marketplace in July, JP First Thursdays Artisan Fair in August, in October we had our 4th appearance at the SoWa Open Market as an invited guest, and in December we had our 2nd annual show within a show at the Boston Bazaar Bizarre and we represented as a group at the JP Holiday Show. The holiday season wouldn't be complete without our Boston Handmade Holiday Gallery which we produced for the 3rd year in a row from Black Friday through Christmas Eve. 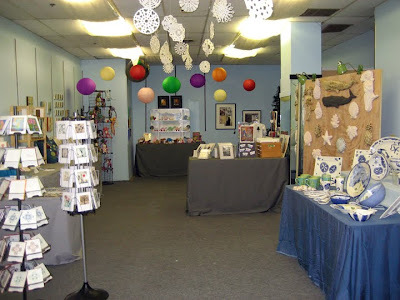 The annual pop-up gallery has become an old favorite amongst the residents and workers in Boston's Downtown Crossing Neighborhood, and we were delighted to set-up shop once again in our old haunt. 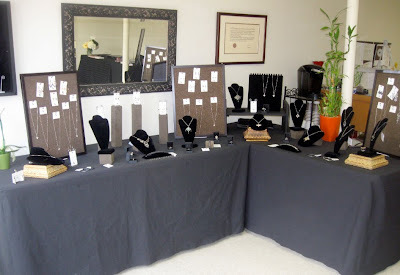 Throughout the year we held 15 social and networking events for our membership including a screening of Handmade Nation, our annual summer BBQ, and an opening celebration for Cristina Hurley's jewelry gallery in Canton, MA. 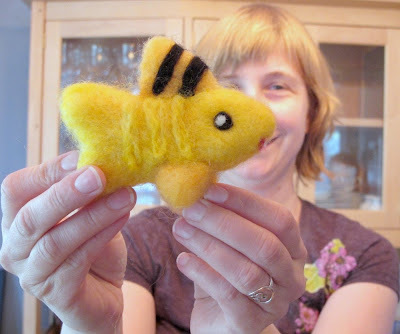 In 2010 Boston Handmade members led five skill-share workshops: Writing For Artists, Needle Felting, a Business Expansion Discussion and Seminar, Hand Building in Ceramics, and a Photowalk led by Kerry of K. Hawkins Photography. These workshops are opportunities for group members to share their knowledge with one another at little or no cost. The idea is: I'll teach you something, and then you can teach me something. Each year these workshops are highlights of our internal group event calendar. 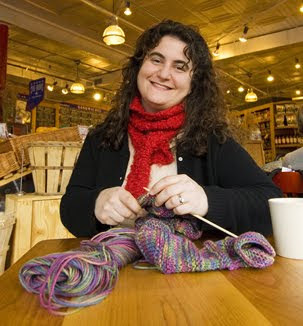 Liz Stewart of Lush Beads created a new jewelry line in 2010. 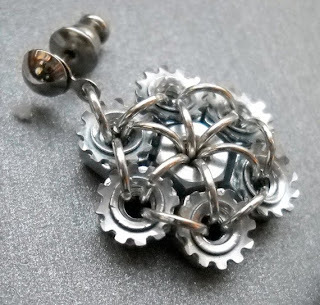 Of this new work Liz says, "I take unused hardware and re-purpose it into funky unisex jewelry." 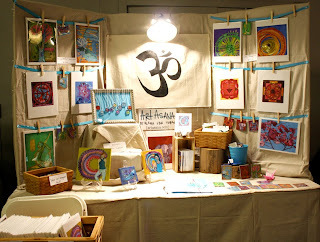 One of Boston Handmade's newest members, Eliza Tobin of Art Asana, participated as an exhibitor in her first ever craft show, the Bazaar Bizarre, in December 2010. 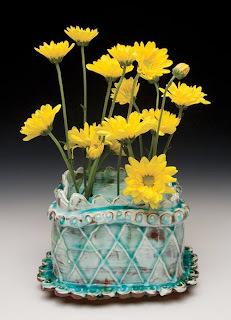 Arthur Halvorsen was published in the November/December 2010 issue of Pottery Making Illustrated. Karen Mahoney of City by the Sea Ceramics was invited to take part in an exhibition in February 2010 at the Gorse Mill Studios to compliment the book, Mastering Raku. Of her participation Karen says, "The book was published in November 2009 and I had a vase in the book and the exhibit. 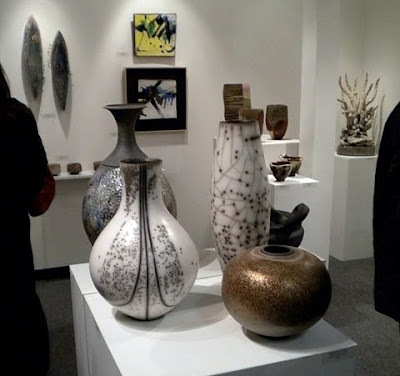 It was the first major exhibition of raku ceramics in the Eastern United States. Many significant ceramic artists took part." 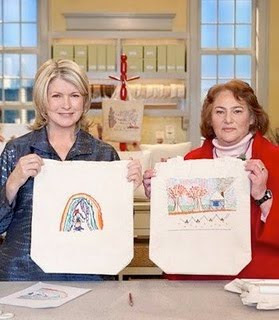 Sharon Fischer of Stray Notions says, "My biggest achievement in 2010 was being invited to be a guest on the Martha Stewart Show." Sharon's appearance was in January 2010. 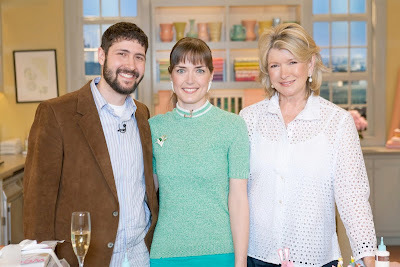 Crystal Hanehan of Vintage by Crystal made her second appearance on the Martha Stewart Show in March and was surprised after her craft demo segment by her boyfriend with a very public marriage proposal, "It was the surprise of a lifetime!" Many amazing things have transpired in the life of Boston Handmade since the group began in 2007, and the wonders continue to multiply. The future of Boston Handmade is very exciting as we expand our missio n to reach the wider community of artists and craftspeople in the Greater Boston area. 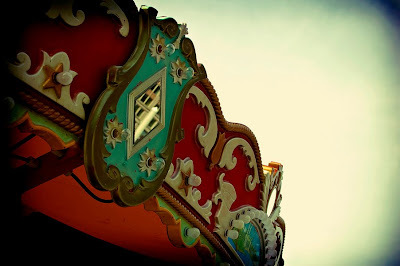 We have plans to make new connections and develop ways to help our fellow creative professionals make a living doing what they love. Stay tuned to this blog for more news on our exciting journey as the story unfolds. From the bottom of my heart I thank all of our loyal readers, followers, fans, collectors, and friends, for helping us achieve our dreams. Love this post! Thanks Jess! Congrats on a successful yr! I would love to know which of your 5 shows you considered the best in terms of sales. That's an interesting question Jeremy, and I suspect that every exhibitor would have their own different answer since some shows are better for certain types of item sales than others. As the event producer I feel our most successful group show this year of the 5 was our 3rd Annual Somerville Marketplace. Even with our rain date postponement we had large crowds, good media coverage, live music from 2 excellent local bands, and strong sales throughout the day. Can other Boston Handmade members who participated in all 5 (or most) of these shows chime in? I did all five and while all were great shows, I had the best sales at the Bazaar Bizarre. Of course a lot of that has to do with the time of year (Xmas), plus its a pretty established show (been around since 2001!). awesome! i love the pic of you at the bottom jessica! you're too cute. jeremy, i only did the somerville marketplace and the bazaar bizarre, but i did much better at the bazaar bizarre. both shows went well enough, and i would do both again. i'm hoping to be able to take part in some of the other BH shows this year too. Good luck with upcoming 2011 BH events!